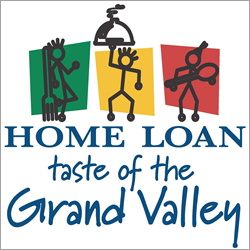 The Home Loan Taste of the Grand Valley takes place at the Two Rivers Convention Center in Grand Junction Colorado in February. Exhibitors at this food festival celebration include local restaurants, caterers, food and gourmet product businesses, and more – all ready to provide you wonderful food and beverage samples. Have fun and participate in the Taste – this popular event raises funds to benefit the United Way of Mesa County. Get your tickets and be ready to have a great time this year at the annual Home Loan Taste of the Grand Valley!